Australian cinema from a British perspective. Following the success of the inaugural Australia and New Zealand Festival of Literature and Arts in 2014, the ANZ Fest gang return to London later this month. This year’s line-up is bigger and better than 2014, and the film strand is no exception. Boosted by the recruitment of Film Coordinator Neil Mitchell, it too has expanded in both scope and volume, with this year’s festival serving up a veritable feast of Antipodean films, old and new, playing across two weekends at Hackney Picturehouse (HPH) and the Strand campus of King’s College London (KCL). Often billed as the world’s first feature-length dramatic film, much of The Story of the Kelly Gang (d. Tait, 1906) [30 May – 4pm – KCL] has been lost to the ravages to time. To celebrate the film’s centenary, however, Australia’s National Film and Sound Archive (NFSA) pieced together the remaining fragments from collections and archives (and rubbish dumps!) in Australia and Britain. Those seventeen or so minutes (plus additional stills and contextual information) will be screened at a very special ANZ Fest event, followed by an extended discussion with Angus Forbes, the grandson of Charles Tait, who is often credited as the film’s director. To discuss the film’s production, exhibition, disappearance and rediscovery, Forbes will be joined on stage by Dr Ian Henderson, director of the Menzies Centre for Australian Studies and Stephen Morgan (that’ll be me! ), PhD candidate at King’s College London. A firmly established classic and a (somewhat) neglected masterpiece constitute ANZ Fest’s mini-tribute to one of Australia’s finest filmmakers, Peter Weir. Celebrating its 40th birthday in 2015, Weir’s breakthrough classic Picnic at Hanging Rock (1975) [31 May – 5:45pm – KCL] – the hauntingly picturesque mystery of disappearing schoolgirls set on St Valentine’s Day 1900 – is shown here in an anniversary screening authorised by Weir himself. Another masterwork of the Australian film renaissance, released two years after Picnic, The Last Wave (1977) [24 May – 4pm – HPH] sees Weir turn his attention to a contemporary mystery, as a Sydney lawyer is drawn deeper and deeper into a labyrinth of indigenous mysticism and apocalyptic visions. Looking back at New Zealand’s own post-1970 film renaissance, ANZ Fest will also screen Geoff Murphy’s anarchic road movie classic, Goodbye Pork Pie (1981) [24 May – 1pm – HPH], one of the first Kiwi features to get a UK-wide release in the early 1980s. Recently released in the UK by Soda Pictures, the epic Rob Connolly-produced portmanteau film The Turning (d. Various, 2013) [29 May – 5:45pm – KCL], brings seventeen filmmakers – experienced hands and newcomers alike – together to adapt a collection of loosely connected short stories by Tim Winton. With on-screen appearances from Cate Blanchett, Hugo Weaving, David Wenham, Rose Byrne and many more, and segments directed by the likes of Warwick Thornton, Justin Kurzel, Mia Wasikowska and Shaun Gladwell. 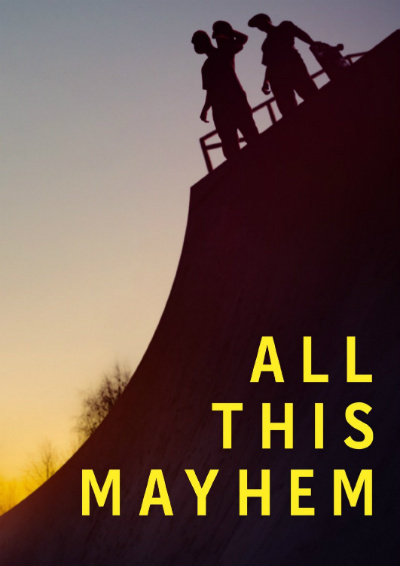 Also released in Britain last year, breathtaking skateboarding/brotherhood documentary All This Mayhem (d. Martin, 2013) [23 May – 1pm – HPH] relates the meteoric rise and tragic fall of Tas and Ben Pappas, the Melbourne brothers who escaped the city’s rough western suburbs to rank amongst the best skateboarders in the world. This screening of one of the standout documentaries from 2014 also features a Skype Q&A with Tas Pappas. Meanwhile, commemorating the centenary of ANZAC involvement in the First World War, The Waler: Australia’s Great War Horse (d. Vines, 2015) [31 May – 1:30pm – KCL] shows that there was far more to equine involvement in the Allied effort than the war horse of Michael Morpurgo’s book (or the subsequent stage and feature film productions). Over 130,000 Australian horses served during the Great War, and this documentary traces their origins, their feats and what became of the 50,000 or so that survived the battlefields. From the past to the very present, and a last minute confirmation in Frackman (d. Todd/Stack, 2015) [30 May – 6:30pm – KCL], an observational documentary – and antipodean companion to Josh Fox’s fracking expose Gasland (2010) – which follows the story of pig-farmer and accidental activist Dayne ‘Frackman’ Pratzky, as he fights multinational corporations seeking a quick buck in the global race for coal seam gas. Stories from indigenous Australia will feature prominently elsewhere in Britain in the coming months, allowing ANZ Fest to focus on tales of Maori life from across the pond. Hard-hitting family drama Once Were Warriors (d. Tamahori, 1994) [30 May – 1:30pm – KCL] is already a well established Kiwi classic, as is New Zealand’s highest grossing hit, 1980s-set comedy Boy (d. Waititi, 2010) [31 May – 3:45pm – KCL] takes a rather more lighthearted approach to growing up Maori. New Zealand also had a relatively healthy share of its homegrown box office in 2014, and ANZ Fest will show the second and third highest grossing Kiwi films of last year, the Cliff Curtis-starring chess and anti-violence drama The Dark Horse (d. Robertson, 2014) [23 May – 4pm – HPH], and pre-Euro blood and thunder actioner The Dead Lands (d. Fraser, 2014) [30 May – 3:45pm – KCL]. Tickets for the 2015 Australia and New Zealand Festival of Literature and Arts are on sale now. The core festival runs from 28-31 May at King’s College London, with satellite events across London from May 17, including a weekend of film screenings at Hackney Picturehouse on 23-24 May.